So what are some things that gardening does to hurt our backs and postures? To name a few: bending, lifting, bending forward for prolonged periods of time, seeding, weeding, watering, carrying buckets or pushing wheelbarrows full of dirt, the list could go on and on. Today, I’d like to offer some good tips about how to use better posture when gardening and to cultivate good health, as well as a good garden! Gardening tip #1: Bend with your hips, and not your back. Try not to round out the lower back as this can weaken it and create pain and postural deformities. Always try to keep your lower back curve intact and bend at your hips (hip hinge) if at all possible. Gardening tip #2: Work close to your project. Instead of reaching to work, get down and dirty in the dirt by putting your knees on the ground and being closer to picking, seeding, or weeding. This will help decrease the amount of force to your lower back by shortening the distance. Use kneepads if being on your knees creates too much pain in the legs. Gardening tip #3: Take breaks. Water breaks, stretch breaks, throw the ball to the dog breaks. Break it up! This will allow your body to relax from the repetitive motion injuries that can occur from gardening. Gardening Tip #4: Use raised garden beds. This will also help keep your work closer to you and prevent you from having to bend forward or get on your knees often. Gardening tip #5: Get help. Don’t try to do everything yourself. Get help from family or friends when gardening and lifting heavy objects or pushing heavy wheelbarrows. Dispersing the workload can prevent overuse and injury to your back, neck and extremities. Gardening tip #6: Avoid lifting, bending and twisting at the same time. This type of movement all in one quick motion creates the most biomechanical stress to your lumbar discs and makes you more susceptible to disc herniations. Turn towards what you are working on instead of twisting towards it. Gardening tip #6: Look up. Gardening requires a forward flexed head position, which creates tension in the neck and upper back joints and muscles. Prolonged forward neck flexion can even straighten the natural neck curve, which creates even bigger health and back issues. So long story short, look up as much as you can to prevent neck issues! 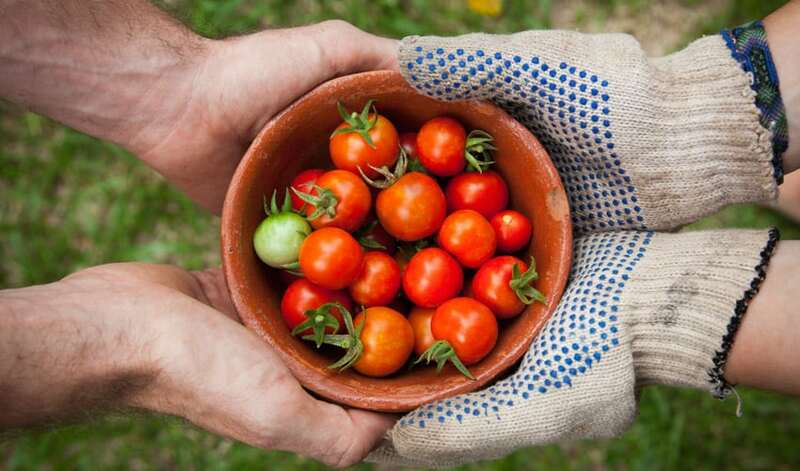 Gardening is an activity that is meant to be fun, fulfilling and creates joy and gives health to those who partake of the foods that come from it. Unfortunately it can wreak havoc on your backs if you fail to use good posture when doing it. Try using some of these tips to help protect your back and cultivate wellness!